You know your TV performance left something to be desired when you have to issue a press release explaining it. That’s the case today for Arizona senator and former presidential candidate John McCain, whose meandering questioning of former FBI director James Comey—including apparently nonsensical digressions about the Hillary Clinton e-mail scandal—provoked a lot of raised eyebrows during this morning’s highly publicized hearing of the Senate Intelligence Committee. But McCain has a good explanation for why his questioning rambled quite so far afield: baseball-induced insomnia. 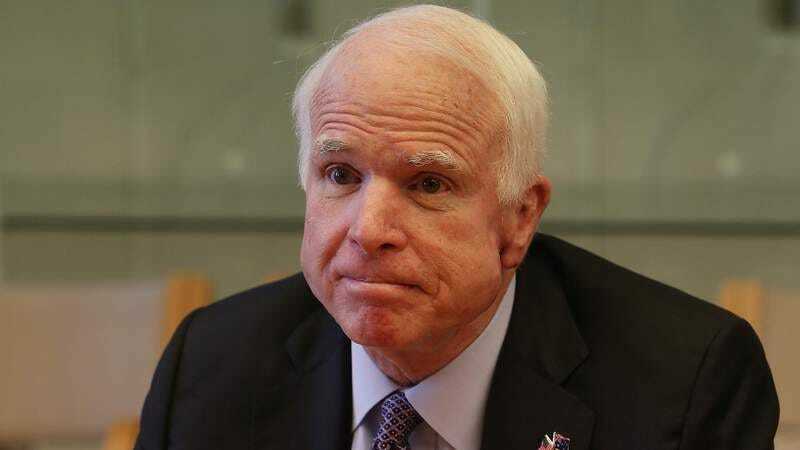 “Maybe going forward I shouldn’t stay up late watching the Diamondbacks night games,” McCain joked in an official statement, suggesting that his late-night sports binging was the reason his questions “went over the heads” of folks on Twitter. (We’re not sure that that’s the right description for where McCain’s questions landed—”zoomed off in a clearly perpendicular direction” might be more accurate—but whatever.) McCain says he was attempting to draw a parallel between Comey’s concerns about his meetings with Donald Trump, and an incident during the 2016 election in which he was seen to be overstepping his job description by putting forward an opinion on whether Clinton should be prosecuted for her lax internet security procedures. That’s a relatively straightforward bit of politicking, but here’s what that question sounded like in real-time, translated into McCain’s personal patois of maverick-ese: “You’re going to have to help me out here. We’re complete—the investigation of anything former secretary Clinton had to do in the campaign is over, and we don’t have to worry it any more?” Comey, unsurprisingly, had to ask for clarity on what the hell that question, and several others that McCain asked along these lines, meant. Baseball strikes again!